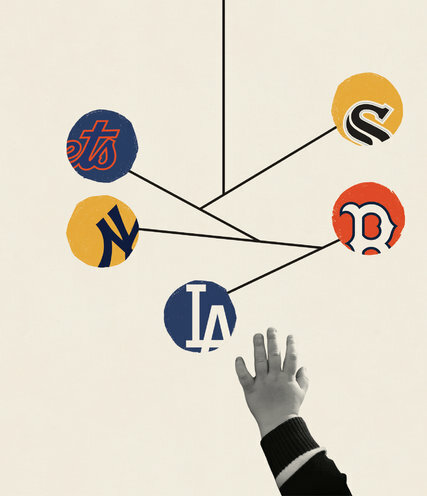 In January, my wife gave birth to a fat baby girl, and once the initial panic subsided and I stopped gasping at the sight of any suffocation hazard, I started the earnest yet ultimately doomed process of picking a sports team for the two of us to root for. New fatherhood had triggered a variety of symptoms in me, but none quite as unexpected as a rising thirst for some tradition to share. Because I’m an immigrant short on hallowed rituals, I decided that fandom would be our foundational bond, the thing we could talk about in the idle or tense times to come. This might sound a bit cavemannish, sure, but I was raised in a house with a jock sister who wore gym shorts year round and was better than me at everything. Our father had been an accomplished rock climber back in Korea, and after my sister took to it at a young age, they shared in the enthusiastic technical lingo of pitches, falls and gear that makes climbers such tedious company. Sports talk is the only father-daughter bonding technique I know.